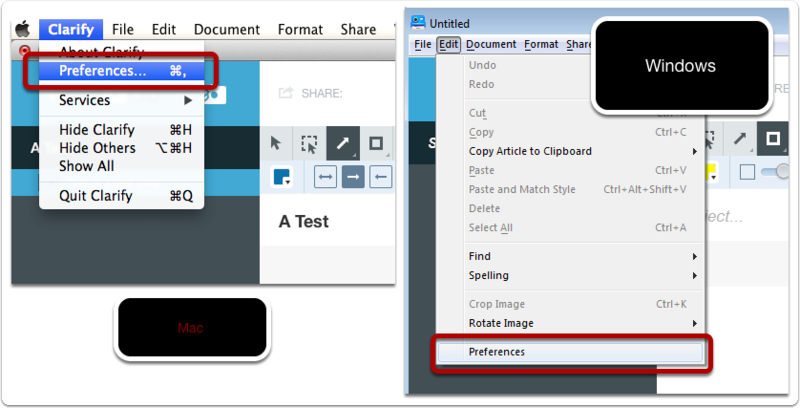 Clarify allows you to share your document in several different formats. First, you'll need to create a sharing account. A sharing account can be customized to export a document in any of the available export formats (e.g. PDF, Word, Clarify-it.com, WordPress, etc.). 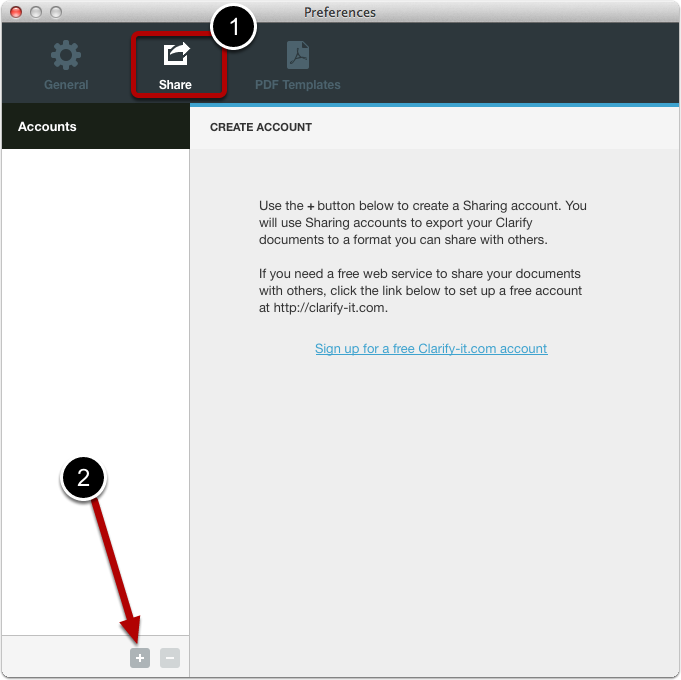 You can quickly choose one of your sharing accounts by accessing it from the toolbar across the top of the Clarify document editor. If you are creating a PDF, HTML, Word, or Email sharing account then you will be able to specify a specific template to use when exporting with that sharing account. From the menu that appears, select the output format for the sharing account. Each format will have a different configuration screen. 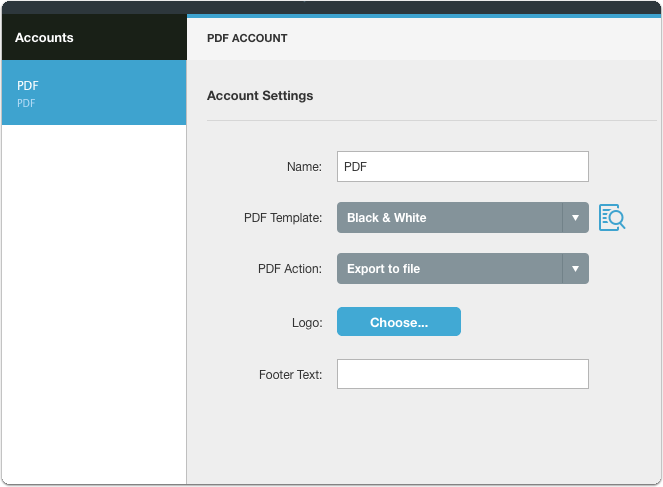 The PDF example below allows you to select the PDF template to use, specify an action such as export to a file or export to a temporary file, select a logo for the header, and enter text that will appear in the footer. The settings you select will be used whenever you click on this sharing account in the Clarify toolbar. 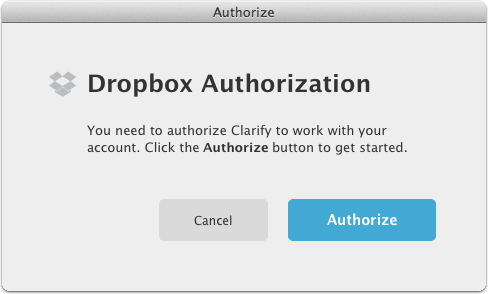 Note that some export formats require that you authorize Clarify to work with the service. 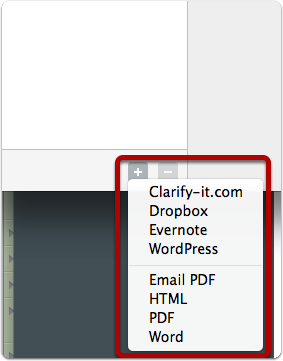 For example, Evernote will display a dialog similar to the one pictured here. Just click on the Authorize button and you will be taken to the 3rd party website where you will authorize Clarify. 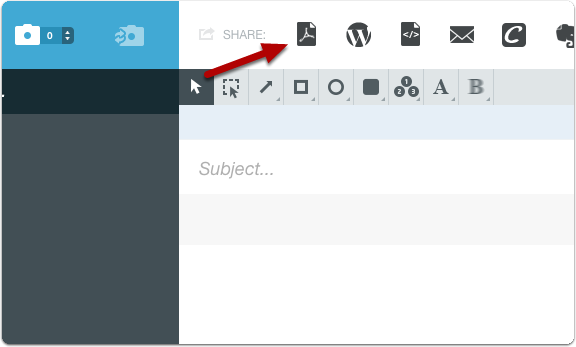 When you add a sharing account to the Share tab, an icon will appear in the toolbar of the document editor. Click on the icon to export using the options you have configured. Prev: How do I share Clarify documents?